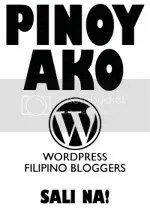 Posted by C0Y in Rides, Technology. As if any Porsche Sportscar wasn’t impressive enough, some dude took it one (or let me say 24 carat) notch higher by giving his car the most expensive look it can have. And by expensive I mean, covered in gold. Is this yours Uncle Scrooge? 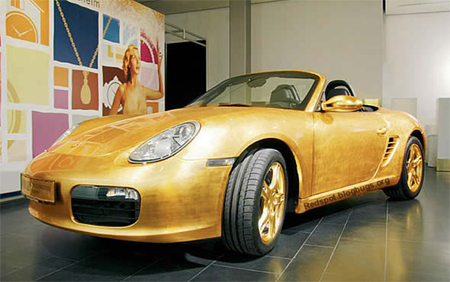 Well anyway, the World “First” Gold Plated Porsche 911 Convertible is actually coated with gold LEAF, not gold plate.. there’s a difference. That’s 100 sheets of gold leaf (24 carat and 3.5″ x 3.5″) which probably costs around $70-$100 US. As you can see here, a technician has applied about 25 sheets of gold leaf to the left front fender alone, which (if you do your math) would make you assume that if a cars fender covers about 10 percent of the surface area of the car, then were talking about a $1000 project (or more) here. Now this looks expensive right? Well it definitely looks good for a guy named Bond….. James Bond. Not Practical – maybe it’s just me, but isn’t this too shiny to give other driver a bad vision on the street? The Attention Car – for those who really2x want attention that much, this might just be the car you’re looking for. And paint “24 Carat” in the hood or door (in bold) just to make sure. 24K ??? – I’m just guessing what the owners plate number would be. what do you think? get a pet tree - Cute little pet trees for sale. Click Me. Who Made This Happy Mothers Day Poem? Carmen Soo – T2 – Pssssssst! Ted Failon’s Wife In Critical Condition – Suicide or Foulplay? Mila Kunis - The Girl to Rock "Max Payne"